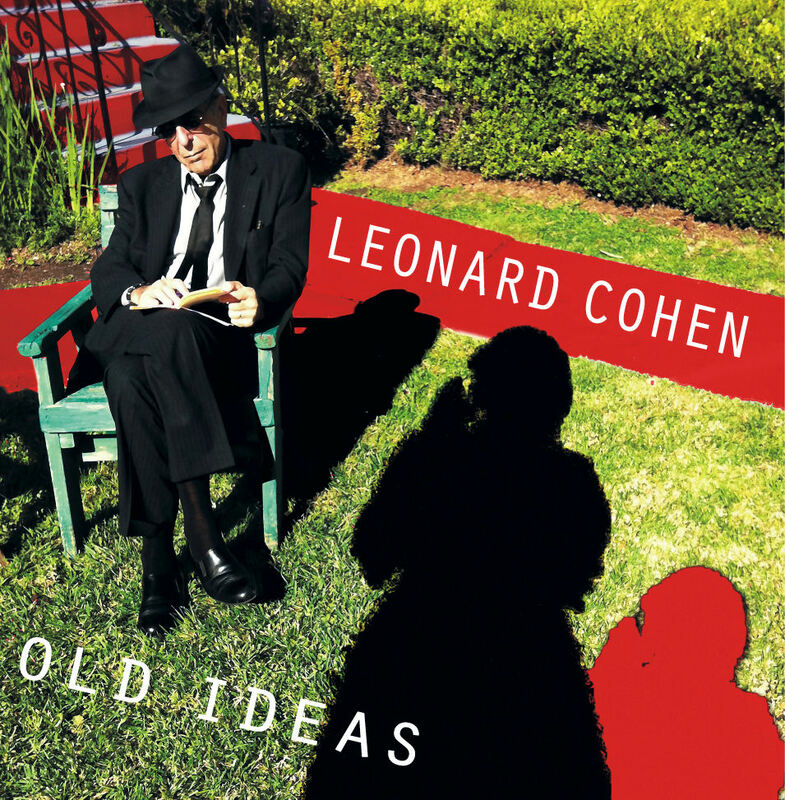 Like Henry David Thoreau and Jack Kerouac, two prominent North American writers who found in traditional Buddhist texts and practices a validation for their own renegade spiritual explorations, Leonard Cohen is another rebel hero whose life and work can profitably be examined from a Buddhist perspective. Unlike those two great outdoorsmen who died young, Cohen has never expressed much appreciation for nature, and he’s still at the height of his game at age 80. But he’s often been compared to the irreverent Cold Mountain poets of Ancient China, who Kerouac and his friend Gary Snyder referred to as “dharma bums.” Like Thoreau and Kerouac Cohen combines longing for transcendance with earthy iconoclasm, and always writes about himself. Also, like Thoreau at Walden Pond and Kerouac on Desolation Peak, Cohen spent an important period of his life in monastic isolation–6500 feet up in the San Gabriel Mountains above Los Angeles, where studying sutras and meditation practice offered refuge from a secular world of distractions and a source of creative inspiration. All three writers have produced large bodies of work and have attained the status of cult heroes, attracting devoted followings worldwide. Cohen has published 14 books of poetry, 2 novels, and 19 albums of his own songs, which have in turn been covered in more than 2700 commercial recordings by other artists. He has given hundreds of filmed and written interviews and is the subject of seven documentary films and an array of scholarly websites, the most authoritative of which is The Leonard Cohen Files containing over 1000 pages, listing 3.4 million visitors, and hosting a 25,000 member discussion forum. Already the subject of several full-length biographies, including the highly regarded 600 page I’m Your Man by Sylvie Simmons that appeared in 2012, Cohen’s 80th birthday this year is marked by the publication of six new books about him and his art. For Cohen desire is intrinsically tragic. It drives him to endure and to inflict betrayal, and it induces harrowing guilt. And yet it is this force and its consequences that bring him close to the Divine, that render him “holy and broken,” as it did the Hebrew Bible’s King David, who fell in love with another man’s wife and had her husband murdered. Cohen identifies with him as a psalmist of penitence, woe and praise. In 1995, his career as songwriter and performer at its height and engaged to be married to the talented and stunning actress, Rebecca de Mornay, Cohen unexpectedly abandoned the role of public celebrity and took up full-time residence at the monastery, where he worked as cook and as private secretary to Roshi. This high-profile retreat attracted much media attention. His sojourn there was chronicled in a 45-minute French documentary film and by many reporters, among them the well-known writer, Pico Ayer, who wrote a lengthy article about it in Shambala Sun. Three years into his residence Cohen took ordination as a Zen monk, and was given the name Jikan, which translates as ordinary silence, the silence between words. At Mt. Baldy Cohen said he experienced moments when “the sky opens up and you get the word.… what rushes in, in the same way that light rushes into a room when you switch on the light, is another kind of mood that overtakes you. (Simmons, p.416) That sensation is evoked in the song “Love Itself,” recorded in the 2001 album, Ten Songs, dedicated to Sasaki. Another participant plausibly traces the imagery of sunbeams entering and leaving the room to writings of the sixteenth century mystic, St. John of the Cross. And a Canadian Professor of Literature draws parallels to Dante’s account of becoming one with God at the end of his Divine Comedy. Cohen’s stay at the monastery also generated abundant artistic creativity. In his few free hours, he wrote poems later assembled in a large collection, The Book of Longing; he composed music on a crude computer synthesizer, and he produced hundreds of remarkable drawings, a number of which he emailed to the editor of The Leonard Cohen Files and later included in The Book of Longing. His contentment coincided with a focus on his family: celebrating Friday night Sabbath dinners with the children and grandchildren who share his small house in a rough L.A. neighborhood and fostering the artistic careers of his son Adam and daughter Lorca. But this serenity did not diminish his creative energy. He began collaborating with two former back-up singers, Sharon Robinson and Anjani Thomas on several albums of their songs and highlighted their vocals and musical settings of his lyrics on his own, and he developed a long harmonious romantic relationship with Anjani, 25 years his junior. Cohen’s resilience was manifested in his reaction to his 2004 discovery that his longtime financial manager and friend, Kelley Lynch, had embezzled nearly all of the $13 million worth of assets he had earned over a lifetime of royalties and concert ticket sales. Though he was embroiled for years in the ensuing litigation, which found her guilty but failed to recover most of the money, he never expressed vindictiveness or resentment. Instead, in order to restore his “retirement fund” and provide for his family, he decided, at age 74, to return to touring for the first time in 15 years. He travelled the world from 2008 to 2010, performing 84 three and half hour concerts to sold-out audiences enchanted with his self-effacing stage presence, which he maintained despite being showered with lifetime achievement awards from every quarter. Despite what sounds like the extended happy ending of a life story, Old Ideas balances sunshine against shadow, as suggested by its cover art. One song, “The Darkness,” adopts the ghoulish voice of suicidal depression. “Different Sides” portrays a bitter fight between lovers. “Anyhow” and “Crazy to Love You” regards past affairs with hunger and regret. “Going Home,” “Show Me the Place,” and “Come Healing” are addressed to a vividly personified God by an awed and humbled penitent in the presence of approaching death. But that death is confronted with acceptance, consolation and even welcome. I’d like to conclude by playing one song from Old Ideas that gives expression to an idea as old as the Psalms of David and as the Medicine Buddha Sutra. It’s a fervent prayer longing for surcease of all suffering and for the wholeness of Love Itself, offered by an old man at the boundary of his life. His deep bass chant accompanies childlike angelic voices in exquisite harmony. According to recent reports, since the end of his tour last December, Leonard Cohen is back in L.A. working on another album for release later this year. This entry was posted on Monday, March 31st, 2014 and is filed under Buddhism, Dharma talks at White Heron Sangha, Music. You can follow any responses to this entry through the RSS 2.0 feed. You can leave a response, or trackback from your own site.